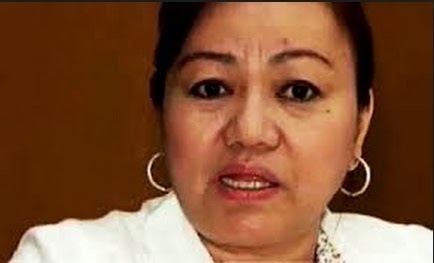 Janet Lim Napoles, the alleged brain behind 10-billion peso pork barrel scam is now live at the Senate Blue Ribbon Committee hearing, November 7, 2013. Livestream channels are now up for million Filipinos to witness the involvement of Napoles on the plunder case or PDAF (Priority Development Assistance Fund). Napoles was wearing a bullet-proof vest over a green long-sleeved polo and took a seat beside Justice Secretary Leila De Lima. Whistleblowers for the PDAF scam Benhur Luy, Gertrudes Luy, Marina Sula, Merlina Suñas, Simonette Briones and Mary Arlene Baltazar arrived before 10 in the morning. Three lawyers from Public Attorney's Office (PAO) was assigned to assist Napoles and arrived at the session hall past 9 a.m. Senator Teofisto Guingona III, chairperson of the blue ribbon committee said the committee wanted to complete the picture on how the government funds went to the "wrong hands." He said he expected that the hearing would allow the Senate to create laws and regulations to prevent such anomalies from happening again. We embedded below the official livestream channel of PTV Channel 4.